We bring you the best pizza places in Pokhara. Roadhous Café, Godfather’s pizzeria, etc. 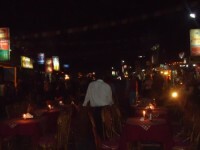 are some of the most famous pizza places in Pokhara, but there are many more. Pizza is one of the most popular Italian dishes in Pokhara. Everyone loves to get the bite of delicious pizzas especially in the most happening city, Pokhara. Pkhara, with its other attractions and specialties, also has some of the best pizzas. It has large varieties of the types of pizzas to choose from: firewood pizza, oven pizza, grilled pizza, pan pizza and so on. There are different flavors of pizzas for vegan and non-vegan both. Below is the list of the best pizza places in Pokhara.